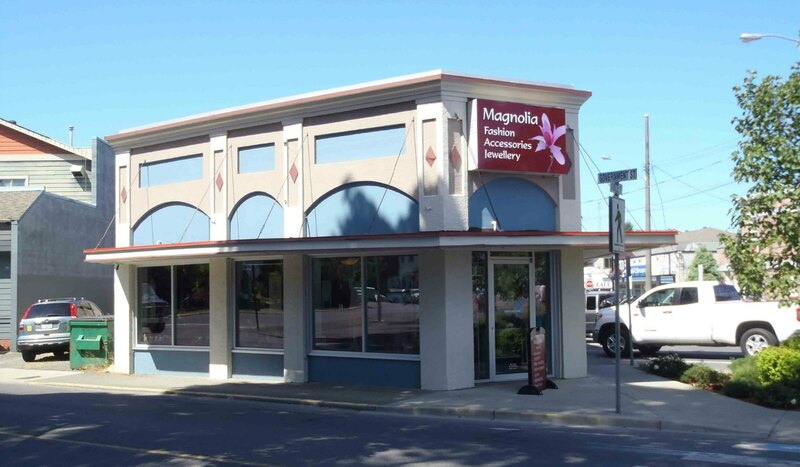 This building at 231 Government Street is currently occupied by Magnolia Accessories. It was originally designed and built in 1929 for former Duncan Mayor Thomas Pitt (1870-1937) as a business premises for his garage and automobile dealership. Unfortunately, the Great Depression struck soon after Thomas Pitt opened his car dealership and the business failed. This building was designed and built for Thomas Pitt in 1929 by architect Douglas James, who lived in Duncan at the time and designed several buildings still standing in downtown Duncan and in Duncan residential districts. This building was originally designed as an Art Deco structure but many of the Art Deco elements have been obscured by later renovations. Note, for example, the arches above the doors and windows; these were originally arched cleristory windows which have since been removed or covered over. After Thomas Pitt left the building, it became a restaurant called the Totem Fountain Lunch, also known as the Totem Cafe, which occupied the building until the 1960s (and possibly later; we’ll do some more research on that). In 2000, it was occupied by another restaurant called the New Totem Restaurant. It was later occupied by another restuarant called Dino’s Grill, which was destroyed by a fire in this building in 2012 and did not reopen afterwards. 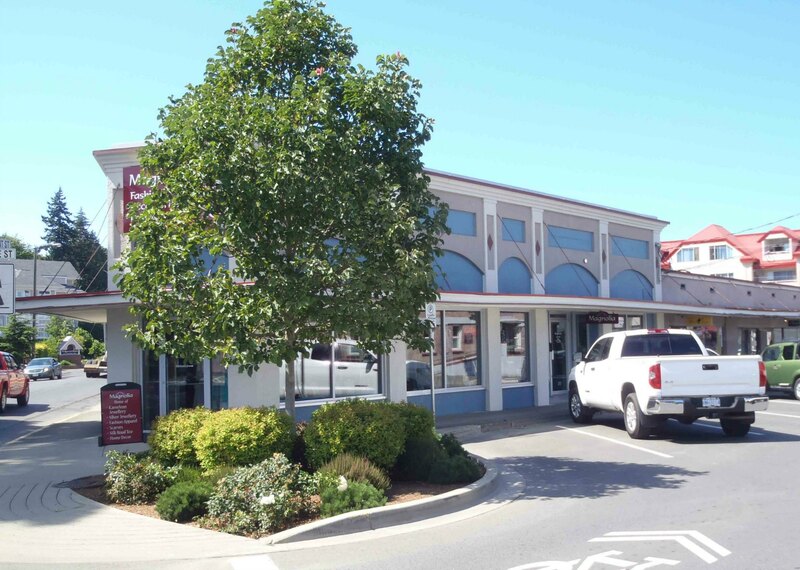 The building was repaired after the 2012 fire and is now occupied by Magnolia Accessories.